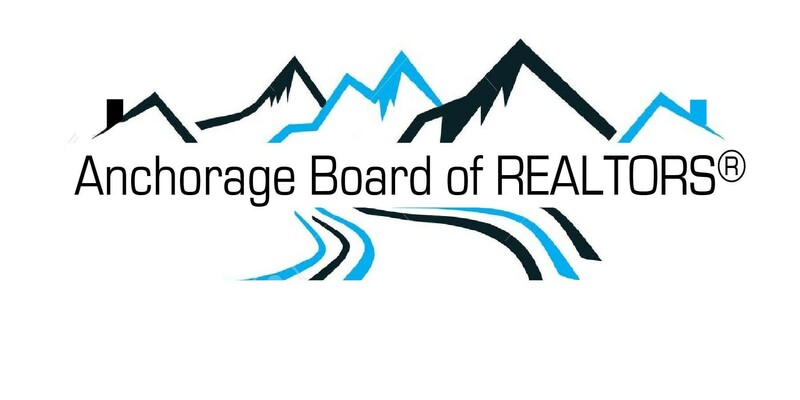 The Anchorage Board of REALTORS is partnering with Boys & Girls Clubs Alaska. Please consider supporting this wonderful organization. National Mentoring Month: Sign up to be a volunteer mentor for BGC members, and celebrate Thank Your Mentor Day with us! Martin Luther King, Jr. Day: Licensed Child Care is closed for staff training, cleaning, painting and re-organizing. Clubhouses are open but this has historically been a “quiet” day, which makes staff available to tackle cleaning and reorganizing projects. The Mountain View Community Center holds a free legal clinic that is open to the public. Volunteers are invited to help at any location. Basketball & Volleyball Seasons Begin: Volunteer coaches and team managers are needed. Random Acts of Kindness Week: Stop by and play a board game with our members, or take it a step further and start a service-learning project with a group of members! Corporate Philanthropy Day: Each year on the fourth Monday in February, the corporate giving community observes International Corporate Philanthropy Day (ICPD) an international advocacy day intended to build awareness of corporate-community partnerships and to inspire businesses around the world to engage further. Spring Break: Come help facilitate activities and chaperon field trips when we open our doors for members all day while they are out of school for Spring Break. In 2016, Anchorage School District Spring Break is scheduled for March 14-18. National Boys & Girls Clubs Week: National Boys & Girls Club Week is an exciting time for thousands of Boys & Girls Clubs across the country. This is when we invite the public to “Open the Door, Take the Tour” so we can show the world the magic that happens inside Clubs each and every day year round. This fast and flat race takes place in the Mountain View neighborhood, and all funds raised benefit the Mountain View Community Center Boys & Girls Club. Volunteers are needed at bib pickup before the run, at the beginning of the run for warm-up and for the kids run, at water stations and “cheering sections” throughout the course. Soccer Season Begins: Volunteer coaches and team managers are needed. Soccer Jamboree: This is a FUN day of soccer games for our players aged 8 and under, along with a carnival-type atmosphere (face painting, crazy hair, concessions sales, dunk tank, etc.). Help is needed with concession sales, face painting, crazy hair and activities. The Color Run: The Color Run is a five-kilometer, un-timed race in which thousands of participants are doused from head to toe in different colors at each kilometer. The fun continues at the finish line with a gigantic “Color Festival,” using more colored powder to create happiness and lasting memories, not to mention millions of vivid color combinations. About 250 volunteers are needed to help with bib packet pickup, setup, traffic control, water stations, color throwers, start/finish line, and cleanup. For this event, register to volunteer at www.thecolorrun.com. ALL SUMMER: Clubs are open all day, every day Monday through Friday! Volunteers are needed on a drop-in or regular basis to greet members at the sign-in table, help supervise the game room, do art projects, play outside, facilitate activities, and assist with field trips. Note: All Clubs will be closed on Memorial Day, Independence Day, and Labor Day. Football Skills Clinic & Season Begins: Volunteer coaches and team managers are needed. Football Jamboree: Held at Anchorage Football Stadium, this event is a day of back-to-back football scrimmages for our young football players. Volunteers are needed to help with concessions, grilling & serving hot dogs, timekeepers, gate security and litter patrol. National Night Out: Held at the Mountain View Community Center on the first Tuesday in August, this event is designed to heighten crime and drug prevention awareness, generate support for, and participation in, local anticrime programs, strengthen neighborhood spirit and police-community partnerships; and send a message to criminals letting them know that neighborhoods are organized and fighting back. Volunteers are needed to set up, facilitate activities, organize youth performances and take down displays at the end of the event. United Way Day of Caring: Each Club opens its doors to a unique service opportunity. Call individual Club Managers for more information. Great Futures Gala: Our biggest and most formal “black tie” fundraiser of the year, volunteers are recruited to procure donations, help with silent and live auction, seat and greet guests, coat check, and help provide customer service for check-out at the end of the evening. Futsal Season Begins: Volunteer coaches and team managers are needed. Trick or Treat Town: Trick or Treat Town is a family-friendly celebration that provides a safe, warm environment for little ghosts and goblins to trick or treat in their costumes. This year’s festivities will feature more than 40 “doors” sponsored by local businesses, where 700 volunteers in costume will hand out an estimated 350,000 treats; Halloween-inspired games and activities for kids of all ages; and live entertainment including performances by musicians, dancers and clowns. Volunteers are needed to hand out candy, help provide security, selling concessions, and coat check. Community Center Thanksgiving Blessing/Fall Feast Events: Open to the community, Mountain View Community Center hosts a delicious holiday meal for their neighbors. Volunteers are needed to help set up, serve food, and clean up after the event. Winter Break: Come help facilitate activities and chaperone field trips when we open our doors for members all day while they are out of school for Winter Break. After your Volunteer Application is approved, you can go to any clubhouse during our operating hours to help with after school activities, homework and/or meal service. Make a difference in a child’s life and help us deepen our impact by mentoring a Boys & Girls Clubs – Alaska Member!